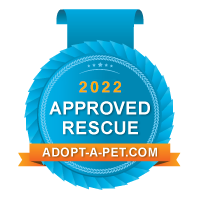 We are a foster based rescue dedicated to helping animals in Indiana shelters. 1-2 years old, and weighs just 4 pounds. He likes to be with his human person all the time ???? FLILTWICK is ok with other dogs who don’t pay much attention to him, but can be fussy if they bother him much. He has been fine with cats. He will potty outside if taken out by his human. FLILTWICK needs to find a home with NO children. A quieter, all adult household would be best for him. ANNIE is such a pretty girl ???? She is waiting patiently for her special human to find her. ANNIE is a little shy and does not enjoy our events, so she is looking for a quiet home with someone who will give her time to adjust and show the lovely girl she is❤️ She is just one year old and is fully vetted.